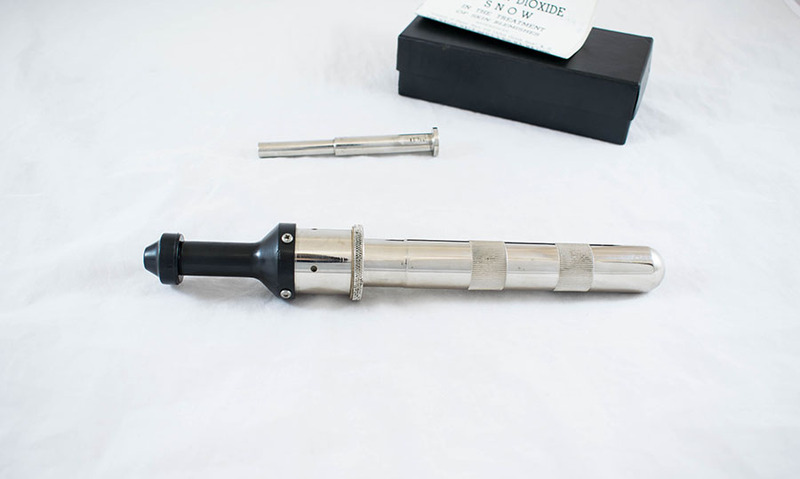 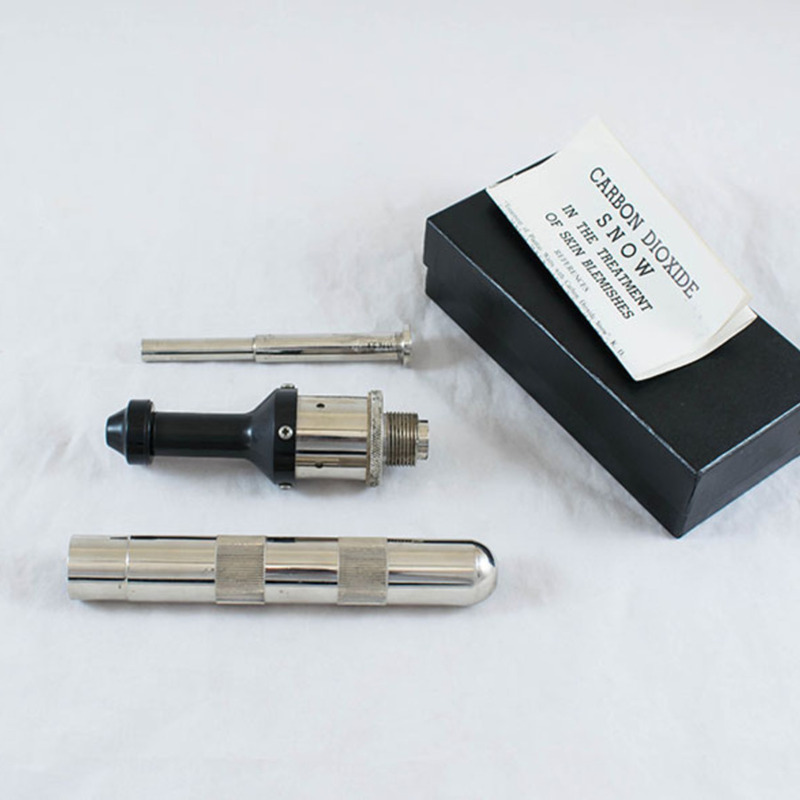 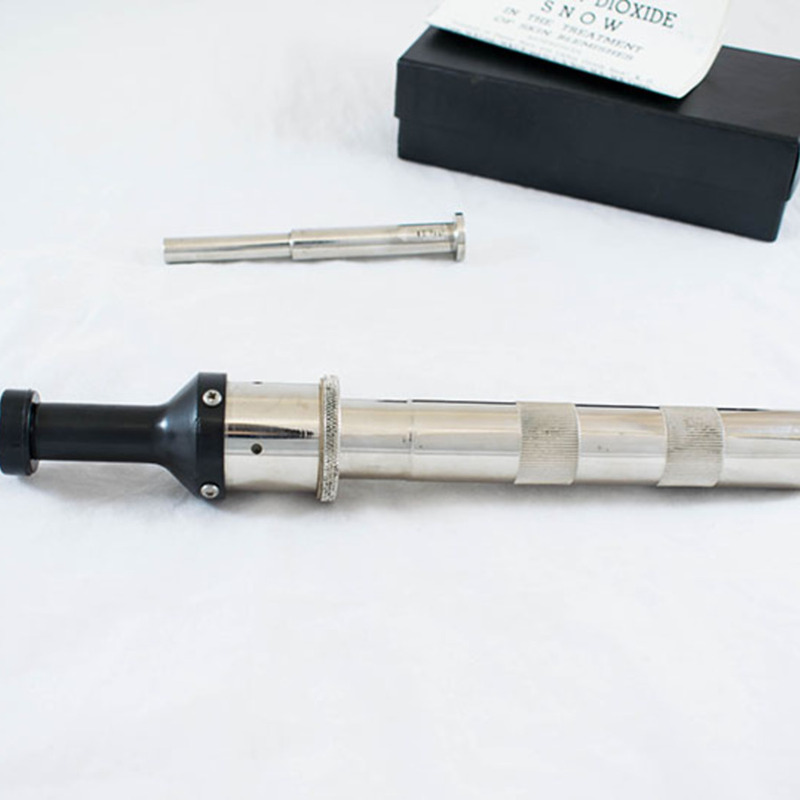 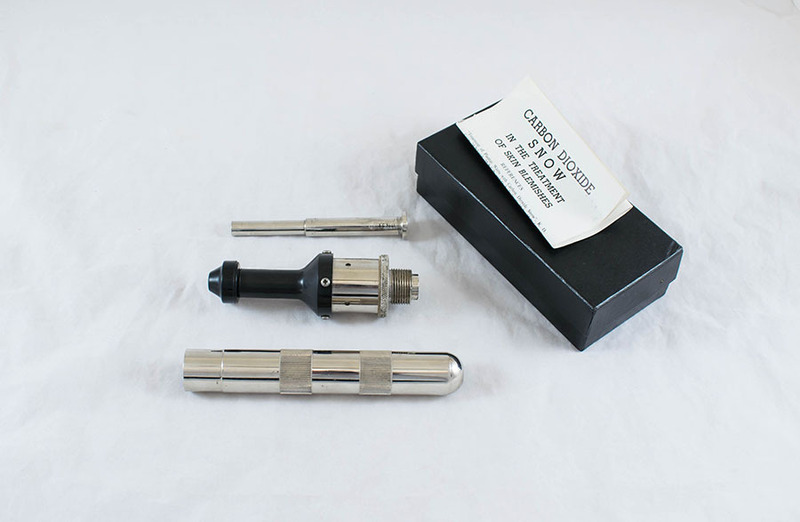 For the treatment of skin blemishes; apparatus comprises an expansion chamber with ebonite mould attached, a rammer and a bulb holder. 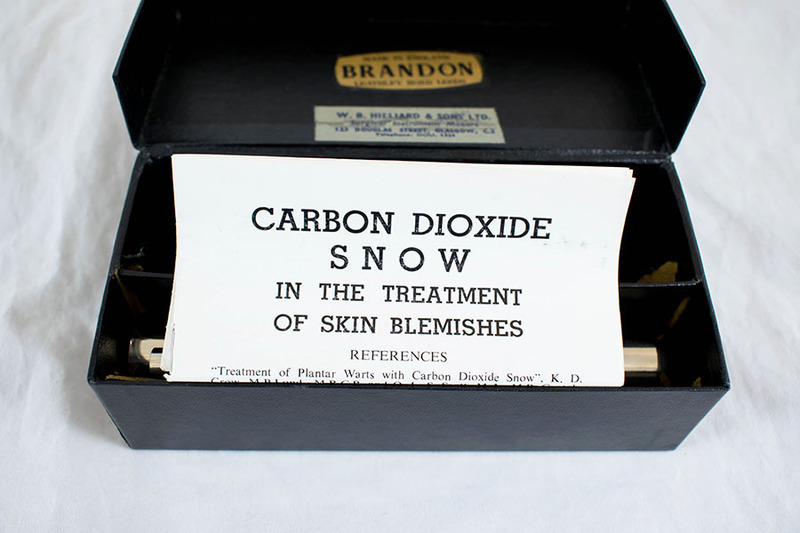 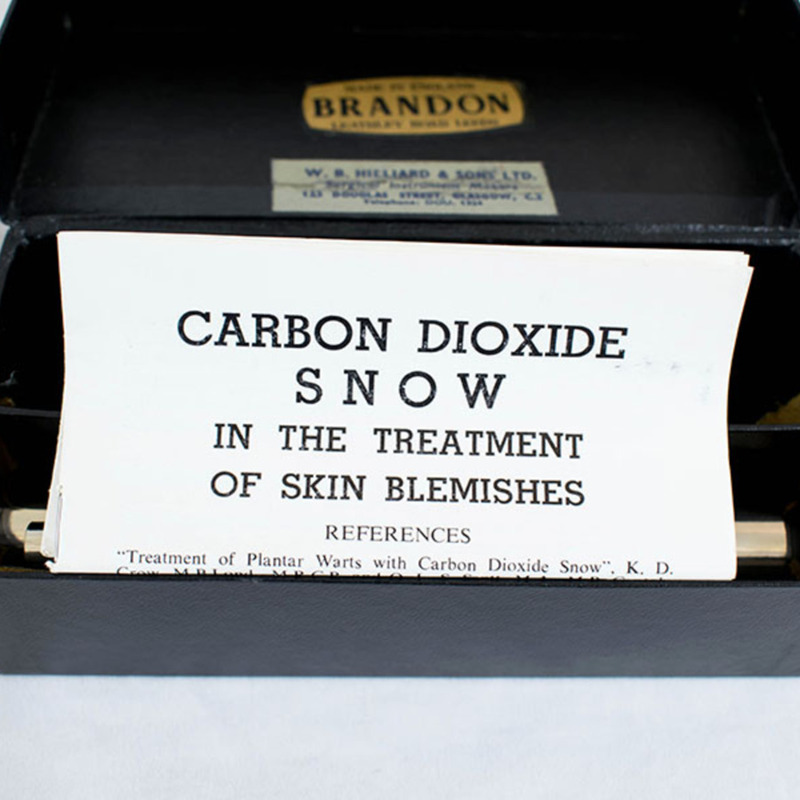 “Brandon CO2 Snow Apparatus,” Heritage, accessed April 24, 2019, https://heritage.rcpsg.ac.uk/items/show/650. Description: For the treatment of skin blemishes; apparatus comprises an expansion chamber with ebonite mould attached, a rammer and a bulb holder.